The Federal Trade Commission said the merger would allow a single operator to contol more than 90 percent of the US market for paid daily fantasy sports contests. The consumer protection regulator said it was seeking an injunction in federal court to halt the deal, and that the petition was joined by the state of California, along with the federal District of Columbia that houses the capital Washington. 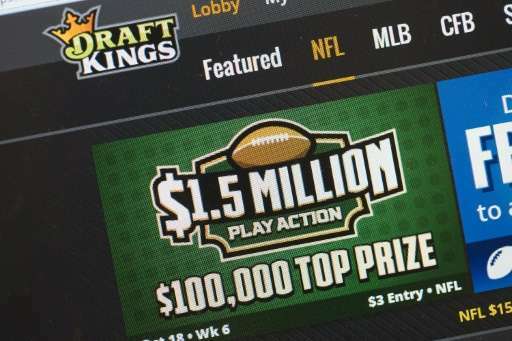 "This merger would deprive customers of the substantial benefits of direct competition between DraftKings and FanDuel," said Tad Lipsky, acting director of the FTC Bureau of Competition. "The FTC is committed to the preservation of competitive markets, which offer consumers the best opportunity to obtain innovative products and services at the most favorable prices and terms consistent with the provision of competitive returns to efficient producers." The move is the latest legal obstacle for the wildly popular fantasy sports operators, which have been banned in some jurisdictions as illegal gambling sites, although New York state last year legalized the operations. "We are disappointed by this decision and continue to believe that a merger is in the best interests of our players, our companies, our employees and the fantasy sports industry," chief executives Nigel Eccles of FanDuel and Jason Robins of DraftKings said in a joint statement. "We are considering all our options at this time." The fantasy sports industry estimates some 57 million participants in the United States and Canada, with the average user spending some $556 annually. Fantasy sports competitions give die-hard fans a chance to field their own teams in virtual matches for huge payoffs, sometimes topping $1 million. Participants create teams by choosing players from a real-world sports league like the US National Basketball Association, the National Football League or England's Premier League.